If you have been charged with a DUI / OVI in Mason, Ohio, your case will likely be filed in the Mason Municipal Court. 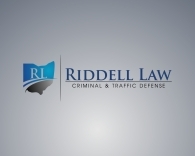 Our firm represents clients facing a wide range of traffic, OVI and criminal misdemeanor cases in Mason. Below are a few FAQs about the Mason Municipal Court. WHAT KINDS OF CASES DOES THE MASON MUNICIPAL COURT HEAR? HOW MANY CASES DOES THE MASON MUNICIPAL COURT HANDLE? The Mason Municipal Court is one of twelve part-time municipal courts in Ohio. This means that unlike many courts, the Mason Municipal Court is in session only a few days a week. In 2012, for example, the court heard a little over 1000 misdemeanor cases. That number includes a little under 400 OVI cases. Additionally, the court heard a little over 6,200 traffic cases. Yes. Call (513) 655-7240 to speak with one of our Mason criminal defense attorneys. We are on call 24/7 to answer calls and questions about cases in the Mason Municipal Court.